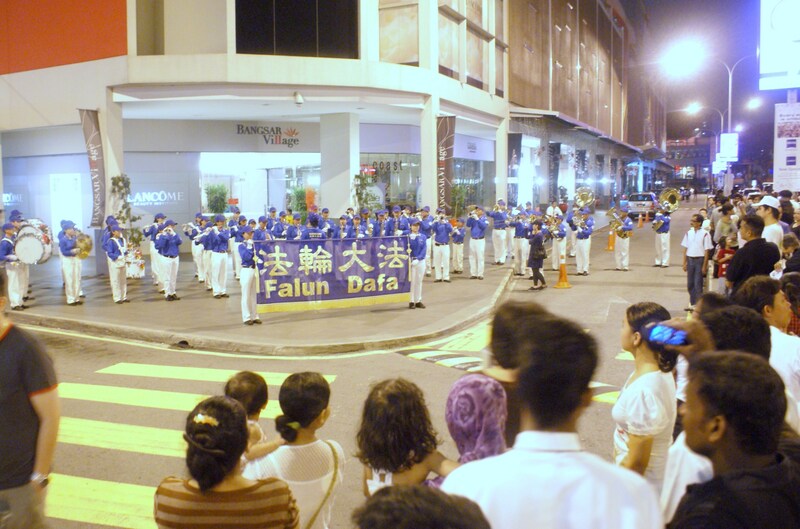 (Clearwisdom.net) On New Year's eve, the Divine Land Marching Band, which is made up of Falun Gong practitioners, performed at the celebration in Bangsar, Kuala Lumpur. Bangsar is a famous tourist spot in Kuala Lumpur. Many people came to the celebration and enjoyed the band's performance. Practitioners also passed out handmade paper lotus flowers and Falun Dafa bookmarks.